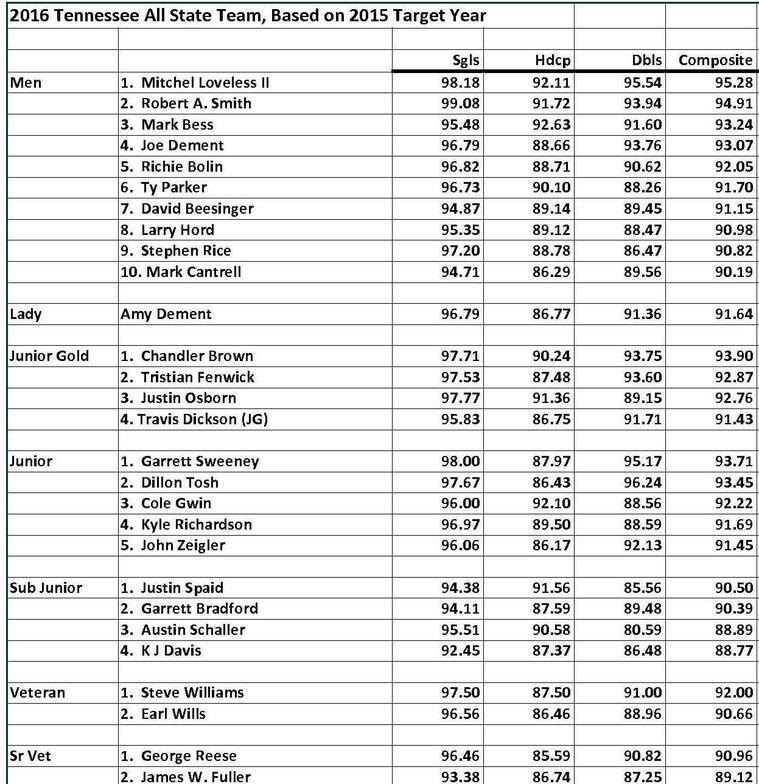 The 2019 Tennessee All-State Team is based on the highest composite averages from the 2018 ATA target year. It is selected from TSTA members in good standing who meet the applicable minimum target requirements: Men: 2,000 singles, 1,500 handicap, 1,000 doubles; Categories: 1,000 singles, 1,000 handicap, 500 doubles. The number of awards in categories is based on the number of qualifiers. 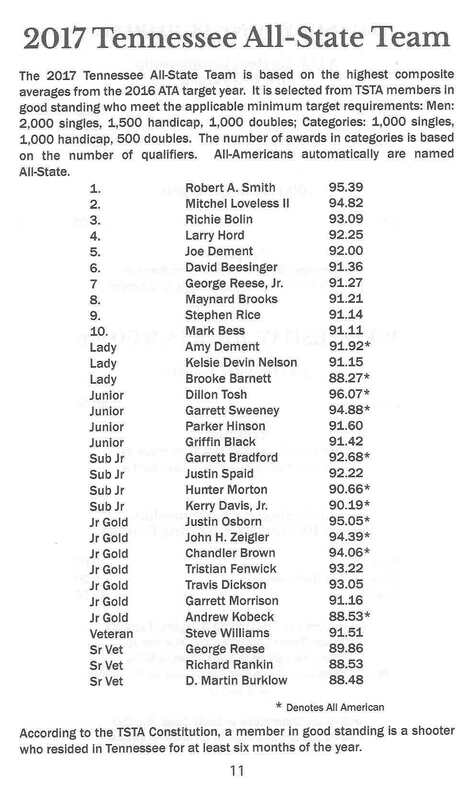 All-Americans automatically are named All-State. According to the TSTA Constitution, a member in good standing is a shooter who resided in Tennessee for at least six months of the year.